We want to make borrowing more affordable, convenient and socially rewarding than buying. A crowdfunding campaign and grant has helped us to pay for the set-up of Crystal Palace Library of Things. To keep it going, we rely on income from borrowing and memberships. 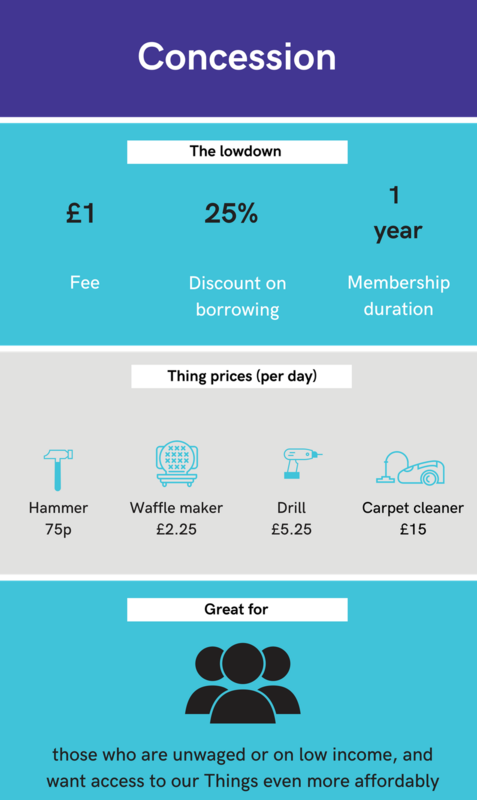 Library of Things is a non-profit organisation – all income goes towards covering our costs, and any profit is reinvested in making borrowing better than buying. 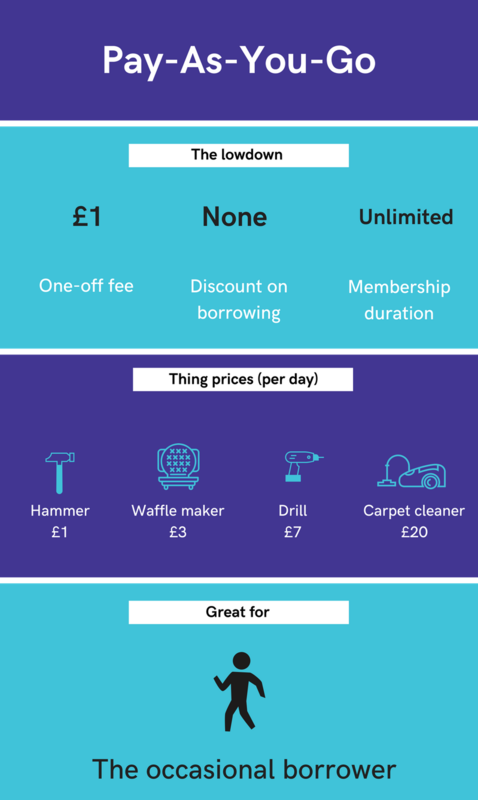 So we made a range of trial rates and flexible membership plans. They are a work in progress – share your feedback here! Start borrowing on a Pay-As-You-Go plan for just £1. Or get discounts on every single borrow by choosing a Simple membership, paying just £15 for a 3-month plan. Low income or unwaged? Choose our Concession plan. Fill in this short form before choosing this membership. All information will be treated in confidence.